Who is Sharon Amos? I’m the wrong person to ask because I never knew her. 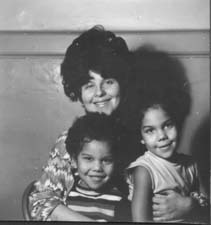 I grew up with an awareness that my aunt Linda Silverstein apparently died with her three children in the late 1970’s. In this world of Google and Wikipedia, I’d always found it odd that I couldn’t find any information about their deaths. That all changed about a year ago when I discovered her other name. She was Sharon Amos, and she and her three children died in Georgetown – the only members of Peoples Temple to die in Guyana’s capital city – on November 11, 1978. I am Sharon Amos’ nephew. I was born in a small home located in the Northern California town of Junction City. My mother, Robyn Silverstein, was born in San Francisco in 1940 and grew up about a block away from Haight-Ashbury. Her older sister Linda was her only living sibling. She did have an older brother, but he died a day after his birth. Their father Lawrence died in 1944; the girls were raised by their mother and maternal grandmother. 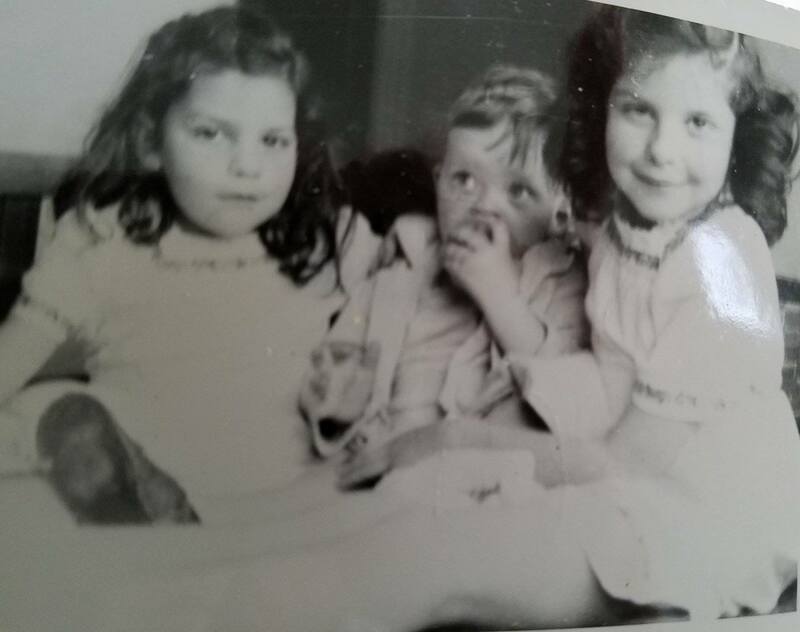 My mother and Linda were not close. The stories she tells sound mostly like typical sibling conflict but sometimes hint at a higher level of dysfunction. For example, my mom describes how Linda locked her in the closet for hours because she didn’t want her younger sister bothering her while she played with her friends. They grew further apart as they moved into adulthood while Linda studied at UC-Berkeley, and my mom embraced the hippie/nomad lifestyle and focused on her training as a Tai Chi practitioner. My mom is now 77 years old and lives a few blocks away from me in an assisted living home. She has Parkinson’s disease, which occasionally creates minor instances of confusion but she’s quite lucid for the most part. That said, she hass always struggled with recounting long-term memories. I’ve tried really hard since childhood to prompt her to recount memories or details about Linda and the kids but have had little success. I grew up believing that Linda and her children must have been murdered at a meeting where she was a member of Jim Jones “church” group. My mother once told me that she’d met Jim Jones and described him as a charismatic, intelligent man. A few years later, I learned more about the Jonestown massacre but assumed that my aunt and cousins died prior to the atrocities that took place in Guyana. To this day, I’m not sure if my mom was protecting me from the gruesome details, or if the lack of details she provided led to me creating the narrative I carried. Part of my investigation over the years had included online searches for obituaries or news articles. I always found it odd when I couldn’t find anything about an apparent quadruple homicide. This all changed last year, when I stumbled upon an online post related to an upcoming HBO docuseries about Jim Jones and Peoples Temple. As I’d done over the years, I Googled Linda’s name and a few variations of the words “death,” “murder,” “Jim Jones,” and “Jonestown.” This time, one of the top results I clicked on opened the door to a very different reality than anything I’d discovered previously. It was a listing on a website used to find graves and details about deceased people. This was the first time in my life I’d ever heard the name Sharon Amos. Armed with this new important detail, I searched again and literally stayed up all night reading the mountain of new information that came my way. This was also the night I discovered this website. I’ve spent the past year reading, watching videos, and speaking with Jonestown survivors w knew Sharon, as well as other’s that have inside information about her membership in Peoples Temple and the way her life ended with her children in Georgetown. The things I’ve learned about her participation in the group are upsetting. The way my cousins died is disturbing, to say the least. However, the more I learn, the more I realize that I’ll never fully understand her motivations. She has been described as highly intelligent, relentlessly effective, and very committed to the initiatives she signed onto as a member of Peoples Temple. You may have noticed that I’m not quite sure what to call her. To me, Linda is my aunt and the mother of my cousins. Sharon is a villain who probably started out with good intentions that got away from her and led to her murdering her children and taking her own life. I’m in no position to write the history of their lives and deaths in Peoples Temple, but I’m going to try and summarize it for anyone who is unfamiliar with the details. Sharon was a longtime member and leader within Jim Jones’ group. She was also known as Linda Harris and Sharon Harris, following her marriage to Sherwin Harris. Her daughter Liane Harris, who was 22 at the time of her death, was a child of that union. Her other children were Christa and Martin Amos, who were 10 and 9 respectively when they died. Sharon was in charge of the Temple headquarters in Georgetown and oversaw communications to and from Jim Jones and others in Jonestown, about 150 miles away. She met with government leaders and worked to advance the cause of independence for the group and possible alliances with other socialist movements around the world. Sharon and her three children were in Georgetown during the second week of November 1978, when California Representative Leo Ryan and his entourage arrived in Guyana. She apparently met and talked with him there. She was still in Georgetown on November 18, when Ryan was assassinated, and the murders and suicides of 909 people in Jonestown began. During the course of that afternoon, she received a radio call from Jones ordering her to gather other group members, kill their enemies in Georgetown with knives, and then kill themselves. Unable to rally other members for this gruesome task, she took her children into the bathroom where she cut the younger children’s throats. Then she and Lianne simultaneously slashed each other’s throats. There are other theories, but the evidence and witness accounts leave no doubt in my mind that Sharon is responsible for these deaths. Even though I never knew them, it’s painful imagining a different outcome. I was raised without a father and grew up with my two siblings Daniel and Lilia. 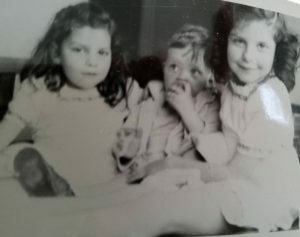 I have no aunts, uncles, cousins, or biological grandparents, although I did have loving people who informally adopted me as their grandchild. I don’t bring this up for sympathy, but to illustrate why the loss of my only aunt and cousins has had a significant impact on my life. It’s been a rollercoaster of emotions trying to come to terms with the loss of my family members as I’ve explored this over the past year. I don’t know if it makes a difference, and I have no intention of marking a distinction between the losses of their lives compared to those who died in Jonestown. However, I feel especially saddened knowing that the only Peoples Temple members who died that day outside of Jim Jones’ reach were my aunt and cousins. Every life lost that terrible day is a tragedy and the entire thing is senseless, but it leaves me asking the endless question, “why.” Why did the other members in Georgetown choose differently? Why were they capable of making a smarter decision to stay alive while my cousins died at the hands of their own mother? What did she think she was saving them from? What I have learned about Peoples Temple and the Jonestown massacre helps fill in some of the gaps. I’ve learned about good people, many of whom believed they were part of a movement to change the world for the better. I’ve learned about their leader, Jim Jones, who used manipulation and trickery to advance what I believe to be his overall cause of satisfying his own ego. I’ve learned a little about Sharon from those who knew her. They’ve been kind in describing her good points, but also described her as one of Jones’ most unflinching followers. I’ve learned about my cousins as well, they seem to have been sweet, considerate, highly intelligent, and a joy to be around. I wish I knew more. I wish I knew them. I wish I could talk to them today, but that ship has sailed. I’d love to learn more and appreciate the support I’ve received from everyone I’ve contacted through this site. I would also love to correspond with anyone who has a story to share or insights about the life or death of Linda (Sharon), Liane, Christa, and Martin, so please feel free to contact me anytime. I can be reached at august.silverstein@gmail.com.